The event will be conducted in a rolling start format with a maximum of 3 swimmers per lane at any given time. Waves will begin at 8:00am and continue throughout the morning. Swimmers will be grouped by expected swim time. Wave timings will be emailed to participants on Saturday 28 July. For those wishing to compete in a draft legal Sprint distance race there will be a separate draft legal wave for both male and female competitors. The draft legal bike course will be closed to traffic. Anyone with a draft legal bike is welcome to enter but the race is geared towards more experienced athletes. It is recommended that male competitors be able to complete the swim under 14:00 and female competitors it is recommended to be able to complete the swim under 15:00. After exiting transition in the gym parking athletes will proceed on Chimo Drive in front of the gym and turn right into the alley way. 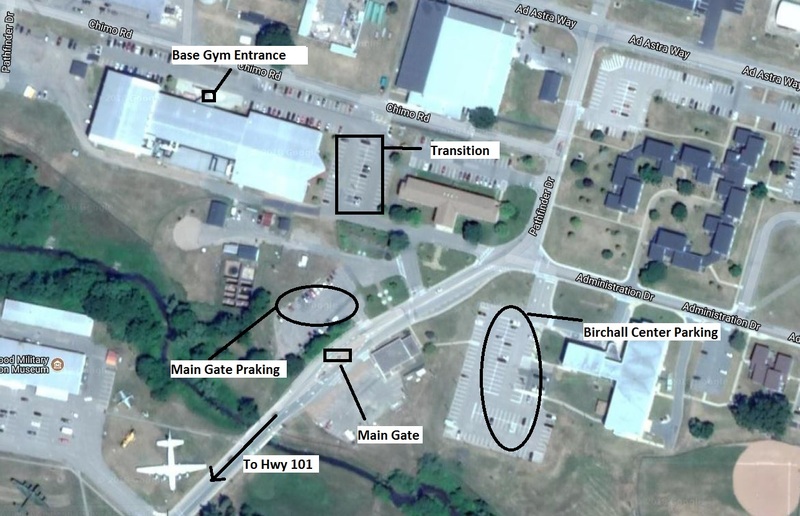 Athletes will cross Ad Astra way into the parking lot to the east of the Fire Hall and enter the airfield through the gate near the rear of the fire station. 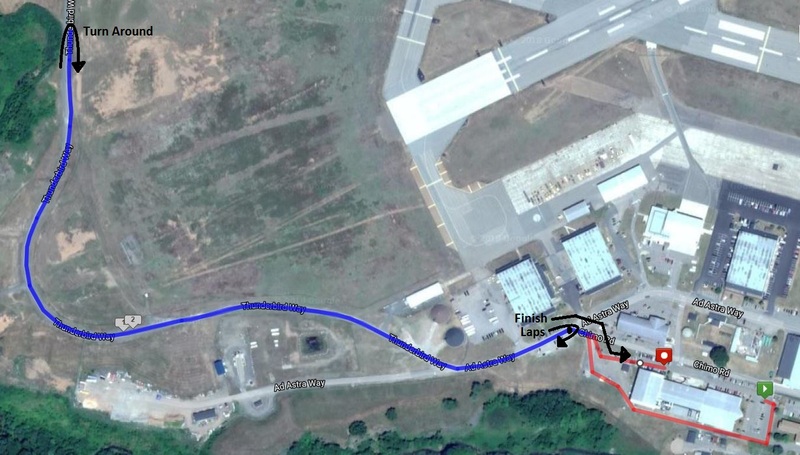 Cones will mark the course along the taxi way to the point where the taxiway meets the runway. 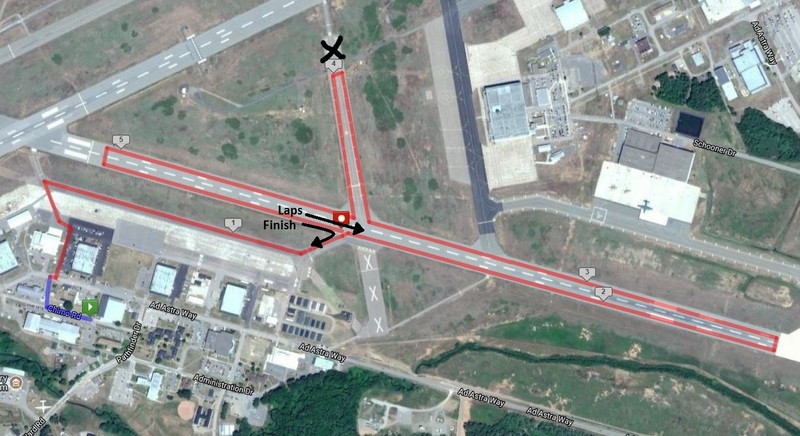 Athletes will complete the required number of laps of the runway (4 for Sprint and 2 for Try-a-tri) before returning to transition following the route back the way they came. 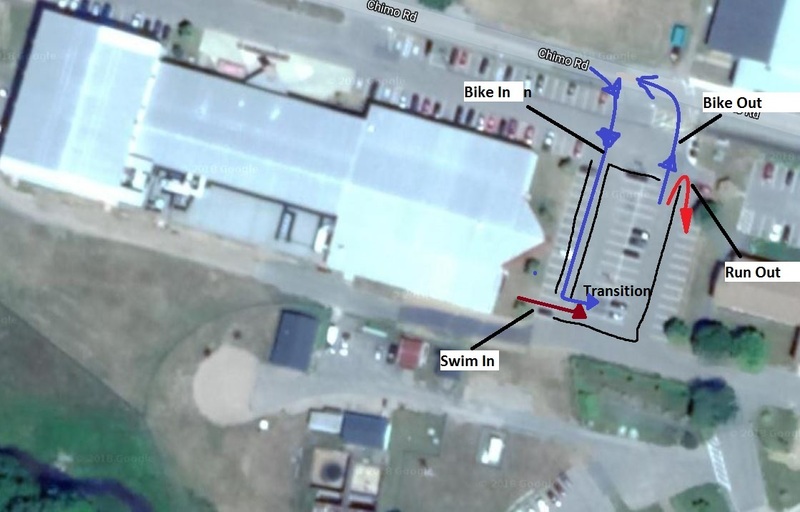 After exiting transition athletes will make a 180* turn, run back past transition around the back of the gym and through the parking lot turning left on to Chimo Rd then proceed on to Ad Astra way. Athletes will follow Ad Astra way to the turnaround point then follow the same route back towards the gym. Athletes doing the Try-a-Tri will enter the same parking lot and then run in fromt of the gym to the finishing shoot. Athletes doing the sprint will turn around just before the entrance to the parking lot and head back towards the turnaround for one more lap. After completing the second lap they will return to the finishing shoot in front of the gym. The flow through transition will always be the same direction. In through the south west corner and out through the north east corner.